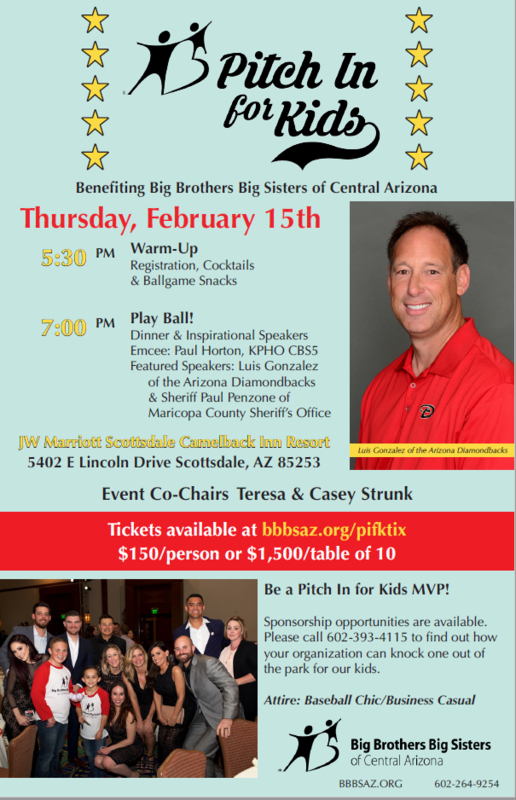 You're invited to put on your best "baseball chic" outfit and show your support for BBBSAZ at Pitch In for Kids! Join us for a fun, baseball-themed evening celebrating the power of mentoring. 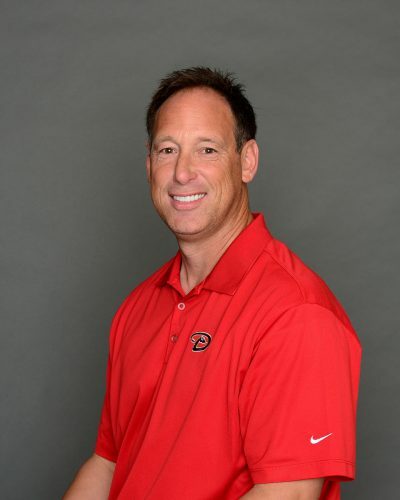 Arizona Baseball Legend Luis Gonzalez, Arizona Diamondbacks, will be the featured speaker. Sheriff Paul Penzone will also speak about the impact of mentoring. Purchase a Mystery Box for $100 and you'll get a Big surprise worth at least $100! Maybe you'll get a staycation at a local resort, a gift card for a fabulous dinner, a gift card for airline travel, tickets to a sporting event, or a lovely piece of jewelry. 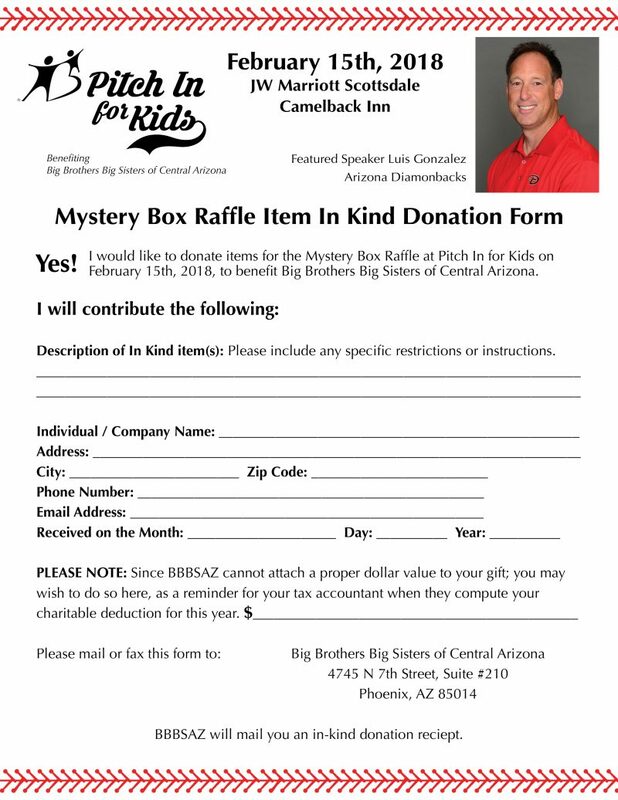 All proceeds from Mystery Box sales support Big Brothers Big Sisters programs. Tables and sponsorship opportunities start at $1,500. Individual tickets are $150. Ticket price includes dinner and beverages. 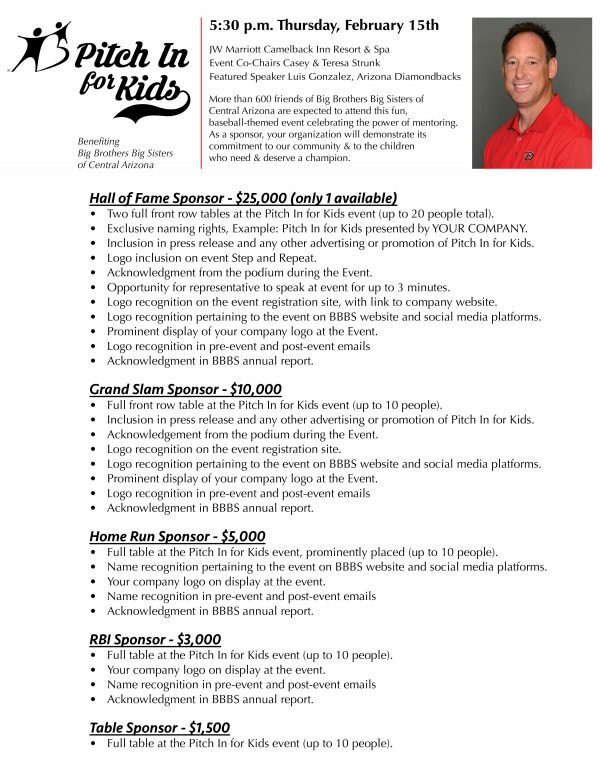 For more information about sponsorship and partnership opportunities, please contact Jessica Whitney at jwhitney@bbbsaz.org or (602) 393-4115. This will be an evening to remember, featuring dinner and program at 7pm at the JW Marriot Camelback In Resort & Spa. Purchase a ticket to help raise funds and awareness to support the life-changing friendships of Big Brothers Big Sisters. It was a game for the ages with a lineup that included Arizona Diamondbacks legend Luis Gonzalez and Maricopa County Sheriff Paul Penzone. More than 550 MVPs joined the Big Brothers Big Sisters organization to celebrate the power of mentoring. Guests warmed up for the evening at a cocktail party where they mixed and mingled, purchased Mystery Boxes, met several of the Big and Little matches, and posed in the photo booth.